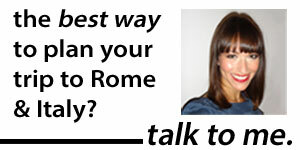 The first part of the answer: Like any city, you need to be aware in Rome. It’s an urban area. There are lots of people, not all of them stand-up characters. Don’t walk alone down unlit streets, be aware of your surroundings, don’t carry lots of cash on you, know the country’s emergency numbers. But. Before you bemoan leaving the safety of San Francisco or Dublin or even Omaha, Nebraska for Rome, a little perspective on how worried you really should be… based on the statistics. (A caveat here: I know that crime statistics aren’t perfect. I know that there are issues with crime reporting and with how to analyze the numbers. But I think some solid numbers are more helpful than yet more anecdotal evidence, which is already pretty plentiful on travel forums and elsewhere on the internet — and can be risky, since of course a traveler is much more likely to post about a mugging than to post about not having been mugged). First, let’s take the most violent of violent crimes. According to the European Union’s statistics-gathering wing, as of 2015, there were 0.7 homicides per 100,000 people in Rome as of 2015. That makes Rome safer than Venice (1.1 homicides per 100,000), Milan (1), Turin (0.8) or Naples (3.9). In the U.S., the FBI’s 2015 data — the most recent available — shows that most U.S. cities remain far behind in terms of safety. There were 3 homicides per 100,000 people in the city of Seattle, 10.6 in Omaha and 8.6 in Anchorage, for example. And as The Economist reported in 2016, out of the 50 cities in the world with the highest homicide rates, all are from Latin America and the Caribbean — except for South Africa and four cities in the U.S., led by St. Louis, with nearly 60 homicides per 100,000 people. Okay. So that’s that for murders. But what about other crimes? 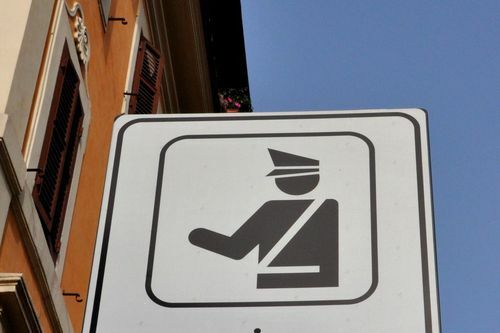 Of course, you have to keep one thing in mind: As a tourist, you are more of a target in Rome, at least for on-the-street property crimes like muggings and pickpocketing, than Italians are. And while you’ll probably be just fine, taking precautions, like using a money belt , might not only make you safer — but simply help you feel more comfortable. And pickpocketing, always the one thing tourists really had to watch out for in Rome, has been increasing slightly in Rome in the last few years, as is noted by the U.S. Department of State. Of course, these days, it also should be noted that one threat that wasn’t as major when I first wrote this post is a threat of terrorist attacks, of the type seen in Orlando, Brussels and Paris. Always be on your guard and alert for anything suspicious, including in iconic areas like the Colosseum and on public transport. Finally, in one of the less welcome updates I’ve had to do since this post was first published in 2010, I realize that many travelers to Europe are no longer as concerned about random manslaughter as they are a terrorist act. This has not, thank God, yet been something Rome has had to deal with. But it is a concern. (Albeit one that Romans have responded to with typical humor: after ISIS made a somewhat enigmatic announcement about the fall of Rome, Romans took to social media to respond with things like, “Don’t come over lunch, everything will be closed!” and “Avoid the train, it’s always late!”). That’s why you’ll find security measures stepped up, particularly at some tourist sights. Recently the Colosseum banned backpacks from being taken inside, for example. There is no way to know what will happen in the future. And it’s worth underscoring that you should always be alert for anything suspicious, including in iconic areas like the Colosseum and on public transport. But as horrific as the acts are which we’ve seen in places like Paris, Istanbul, Orlando and London, a little perspective remains important. Despite the headlines, anywhere in Europe, you’re still more likely to be killed by a fall, a traffic accident or even a lightning strike than by a terrorist act. That isn’t meant to be glib; I can’t imagine many things more horrific than some of the scenes we’ve seen recently. But it is meant to point out that, as much as some tragedies have more emotional resonance than others, your actual likelihood of being affected is — and, even today, remains — very low. It is also worth noting that, sadly, dealing with terrorism isn’t new for Europe (or the world, for that matter). In terms of numbers, we aren’t even in an especially dangerous moment, as much as it might seem otherwise. Many people in Italy today still remember the 1980 bombings at Bologna’s train station that killed 85 people, making it the fourth-worst terrorist attack in Europe, and which was one of a spate of bombings carried out by the Mafia over several decades. Or the numerous bombings by the IRA in Britain. As the BBC has pointed out, while terror attacks in western Europe have become deadlier since the mid-2000s, they affect fewer people than in the past. More than 150 people per year were killed by terrorism in the 1970s and 1980s, compared to about 50 since 1990. So. In sum, do you have to be alert and aware of your surroundings in Rome? Yes. But do you also have to be when you’re traveling in Paris, or Madrid, or London, or even you’re back at home in Dublin or Boston or Omaha? Absolutely. In some cases, even more so. Concerned about crime? Don’t miss my post on how to avoid Rome’s most common scams as well as its scarier, if rarer, crimes. 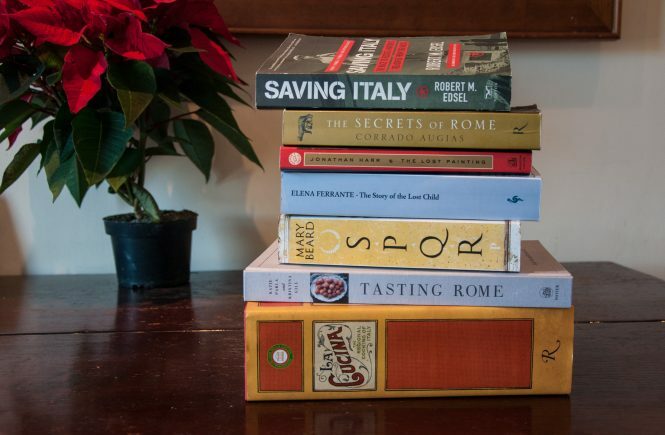 If you liked this post, you’ll love The Revealed Rome Handbook: Tips and Tricks for Exploring the Eternal City, available for purchase on Amazon or through my site here! I’m also free for one-on-one consulting sessions to help plan your Italy trip. here (https://www.researchgate.net/publication/309534050_Is_Rome_ready_for_CBRNe_Attacks ) our study about critical aspects of defence of Rome. While I am not disagreeing with the narrative here, I am simply curious why you chose to compare the petty crime stats of European cities with the likes of US states. Petty crime in Indiana, for example, covers many municipalities throughout the state. Wouldn’t that be like comparing crime between Tuscany and New York State? Again, I am only curious, but perhaps there is no comparable city data for the US? I do appreciate this article though, and I do thank you for the information. Hi there, and thanks for your comment. You’re completely right that a comparison of all of Italy vs US cities would be misleading, but that’s not what was done here. For homicide, I compared Italian cities to European and US cities. For petty crime, I compared Italy to other European countries and to US states. This was mainly because Italy’s regions are quite different than (and much smaller from) US states; that Tuscany, for example, has a population of 3.7 million and an area of 9,000 square miles, while New York, for example, has a population of 8.5 million and area of 55,000 square miles. Italy also doesn’t collect data the same way, so I can’t compare Italian regions to US states. That being said, it doesn’t make a difference if you compare Italy-wide to US nationwide data: the most recent statistics (now from 2015) show that there were 58.6 robberies per 100,000 inhabitants in Italy in 2015, compared to 101.7 in the US. It’s also worth noting that you’re five times more likely to be killed during a robbery in the US than Italy. I hope that helps to answer your question!